Brand NEW energy-efficient home ready March-April 2019! Optional bay windows fill the Yorkshireâ€™s main level with natural light. Generous flex space can be outfitted to fit your familyâ€™s needs. Head upstairs for movie or trivia night in the fun game and media rooms. Community amenities include lakes, pool, recreation center & trails. Great access Beltway 8 and I-45. Known for their energy efficient features, our homes help you live a healthier & quieter lifestyle while saving thousands of dollars on utility bills. Directions:From I-45 take Sam Houston Tollway West to the Pearland Parkway exit. Turn left on Pearland Parkway, left on Hughes, right on Riverstone Falls, right on Riverstone Ranch and right on Riverstone Landing Dr. The model is at 2304 Riverstone Landing Dr.
SchoolsClick map icons below to view information for schools near 2318 Churchill Cove Ln Pearland, TX 77089. Listing provided courtesy of Meritage Homes Realty. Home for sale at 2318 Churchill Cove Ln Pearland, TX 77089. Description: The home at 2318 Churchill Cove Ln Pearland, TX 77089 with the MLS Number 2667402 is currently listed at $409,995 and has been on the Pearland market for 105 days. 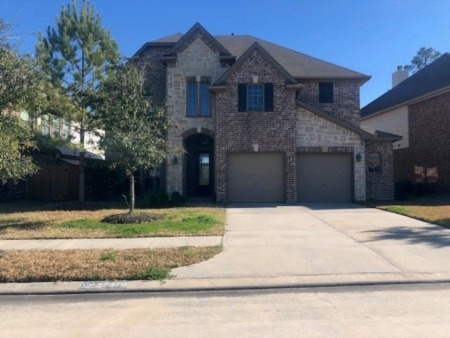 You are viewing the MLS property details of the home for sale at 2318 Churchill Cove Ln Pearland, TX 77089, which is located in the Riverstone Ranch subdivision, includes 4 bedrooms and 4 bathrooms, and has approximately 3696 sq.ft. of living area.